I had planned on something a little different today but after events in Virginia yesterday I just wasn't in the mood. 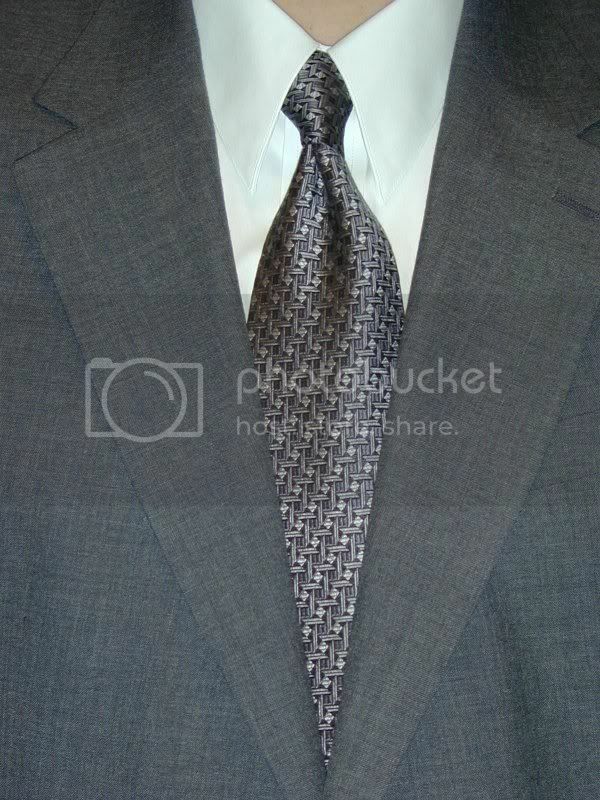 So it's a plain, white straight collar dress shirt, a black and gray Ferrell Reed City of London necktie and the gray sport coat. It started out rainy and gray here today so it fit. This afternoon the sun came out. The sun will come out again for the families and friends of the victims but I'll keep them in my thoughts and prayers anyway.